Home Income Tax News RBI Rules: Banks timely Issue TDS Certificate (Form 16A) to Customers in time. RBI Rules: Banks timely Issue TDS Certificate (Form 16A) to Customers in time. 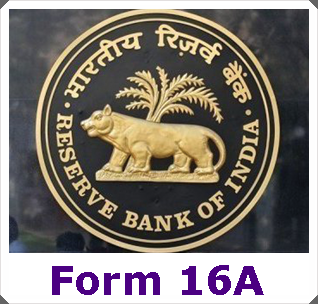 Reserve Bank of India (RBI) has pulled up banks for failing to issue TDS certificates in form 16A in time. Banks must issue such certificates to customers whose income tax is deducted at source within time frame provided by Income tax rules.